I recently posted about preparing for winter storms and as the temperature takes a dip it's time to think about keeping warm! Colder weather can mean a chill in the house and our house used to be so draughty! But after we were part of a sustainable living project we began to think about how we could stay warm and keep out the cold, and now I'm going to share a few tips to help you too! Do you sometimes feel cold air around you home? Maybe in certain spots of the house? The chances are you've got a bit of a draught. A gap around a door, window or brickwork will let in cold air and make you lose warm air. Check all the windows and doors to make sure they are properly closed and consider making or buying a draught excluder or curtains to block out the cold air from exterior doors. Having your heating on all day isn't affordable for many of us and if you're out at work you also won't feel the benefit of it. That said, you don't want to be coming into a cold house. Check how often you have your heating coming on and if it's at suitable times. Have it come on for 10 to 20 minutes a couple of times in the day, even if you're not there, to stop the house getting overly cold. Also, consider having it come on for 10 minutes before your home so you can warm up from the winter chill. If you can't agree on the thermostat or you're still feeling the cold after you've blocked out the draughts and layered up with clothes, keeping warm under a blanket is another way of avoiding the cold. Blankets don't have to be luxurious and expensive. 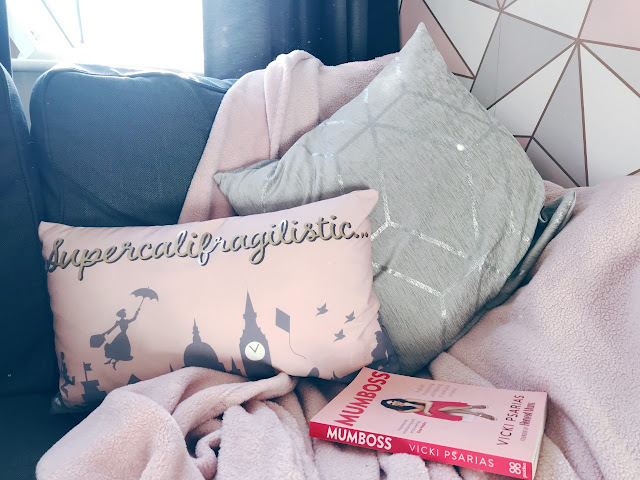 I'm under blanket most evenings and my favourites are from Primark and Wilko! So, the first suggestions to keep your house warm over winter have been simple and budget ideas, this next one though is a bit more expensive but could save you a lot of money in the long run! Just one old window could be letting out enough heat to make your home cold. Broken seals, frames and blown glass can mean that your double glazing windows aren't doing their job, so if it's within your budget have a look at replacement windows. Those that follow me on social media will know that we did this last year! In the winter! Right before the snow started! Looking back it was a bit crazy but it was definitely worth it, as even over these winter months we're paying £50 less per month on our electricity and gas! Cold floors can mean cold feet but replacing carpets or laminate flooring can be expensive. Putting down a rug can help take the edge off but rugs can be pricey too! Shop around in the sales or go for small rugs in key areas, like where you rest your feet when your sitting on the sofa or where your little one plays. We've done this in a couple of rooms and I was surprised by the difference it makes in keeping our home warm. With cold weather forecast over the coming weeks I hope these few tips will help keep your home warm over winter.